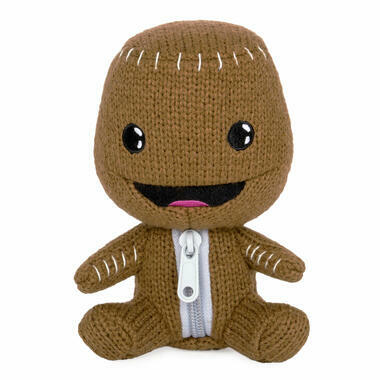 When it comes to cuteness, Sackboy, the protagonist of the LittleBigPlanet video games, definitely does not have to hide from genre bigshots like Super Mario or Rayman. And due to the physics engine that serves as a central component in most levels, the games actually stand out from the vast amount of other jump 'n' runs. 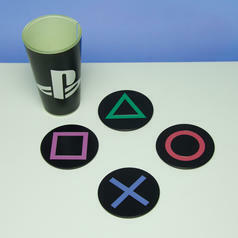 9,95 € lade... Playstation Icons Metal Coasters This is for the players  and the drinkers! 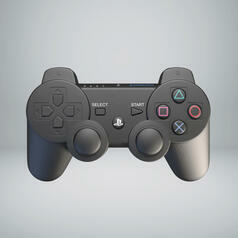 29,95 € lade... Playstation Logo Lamp The four most important symbols of the world will enlighten you! 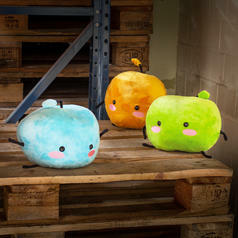 24,95 € lade... Peluche Cube de Voyage En peluche et extra doux, le Cube de Voyage du jeu Portal.